Don’t say we didn’t warn you. In our Nov. 13, 2014 and Jan. 29, 2015 cover stories, we reported that the financial situation at Maui Memorial Medical Center, and the rest of the Maui hospital region as a whole, was pretty grim. 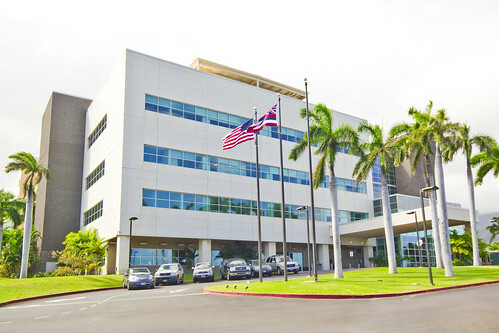 According to Wesley Lo, the Maui region CEO for the Hawaii Health Systems Corporation (which oversees hospitals throughout Hawaii), the Maui region will likely end fiscal year 2015 with a $46.3 million deficit. Last year, the region saw a $38.2 million loss. Next year, Lo said during a Nov. 10, 2014 public hearing in Kahului, hospitals in Maui County will lose nearly $40 million, and another $46 million in 2017. If you’ve been paying attention for the last few months, you’re probably asking why the Maui Region is suddenly–after years of running deficits that the state Legislature has steadily refused to make up with appropriations–only now making big cuts. A big part of the reason might be that HB 1075–a bill that would authorize “the Maui Regional System to enter into an agreement with a private entity to transition one or more of its facilities into a new private Hawaii nonprofit corporation”–is still making its way through the state Legislature. Though certainly not guaranteed to pass into law, the bill is still very much alive. Of course, should HB 1075 pass, Lo said the board would “re-evaluate” the cuts, The Maui News reported.